More thoughts on common home defense scenarios from a mentor, and homework. Something we take for granted today. 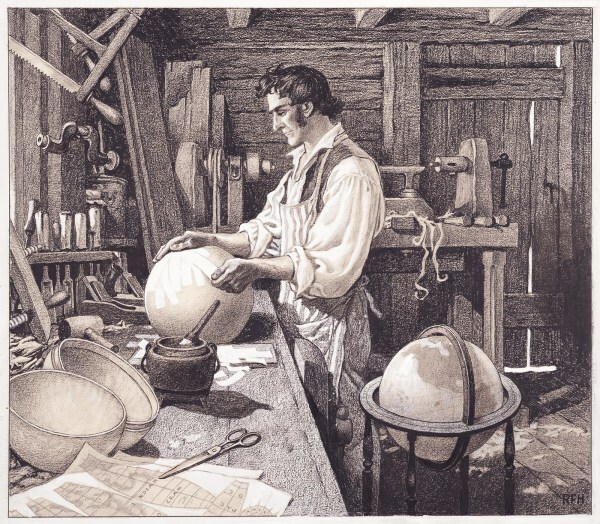 James Wilson, who has the honor of being the maker of the first pair of terrestrial and celestial globes ever made in America, was a native of Londonderry, N.H. He was born in 1763. He early felt a strong love of knowledge, and gave proof of talents of the right stamp for acquiring it, but felt constrained by circumstances to devote himself to the laborious occupation of a farmer. Up to the age of thirty-three he pursued that employment in the place of his nativity; not, however, without reading, observation, and reflection. His inclination and genius turned his thoughts and studies especially to geography and astronomy, with the means of their illustration.